Nothing is quite so satisfying under the knife as leeks on a cutting board. Not even a fresh potato I encountered this summer that was so crisp it reminded me of a water chestnut. But, as my husband pointed out last night (yes, we talk about produce after the kids go to bed), the leek is background noise. You know it’s there if you think about it. But if you’re spooning a bite of soup onto a crusty piece of baguette while chatting with your dinner hosts over a glass of wine, you probably won’t be wondering what mystery ingredient is adding structure and nuance to the concoction in front of you. The leek is well-mannered that way. It will never use a stew as a bully pulpit. Maybe that’s why I didn’t give leeks much thought until last night. Even though they had a place on my blogging calendar and I took a few photos for you last week, they didn’t get their moment in the sun until I returned from the beach a few days ago. 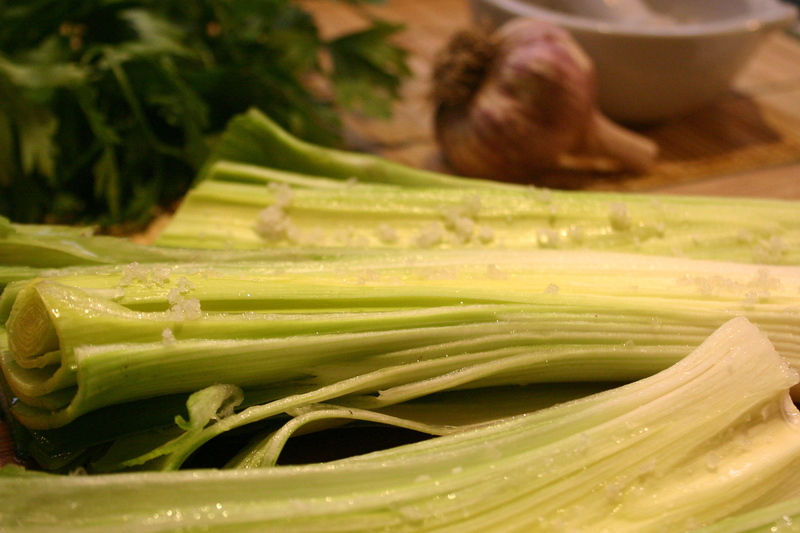 In all fairness, it would have been hard to focus on the humble leek over the weekend. 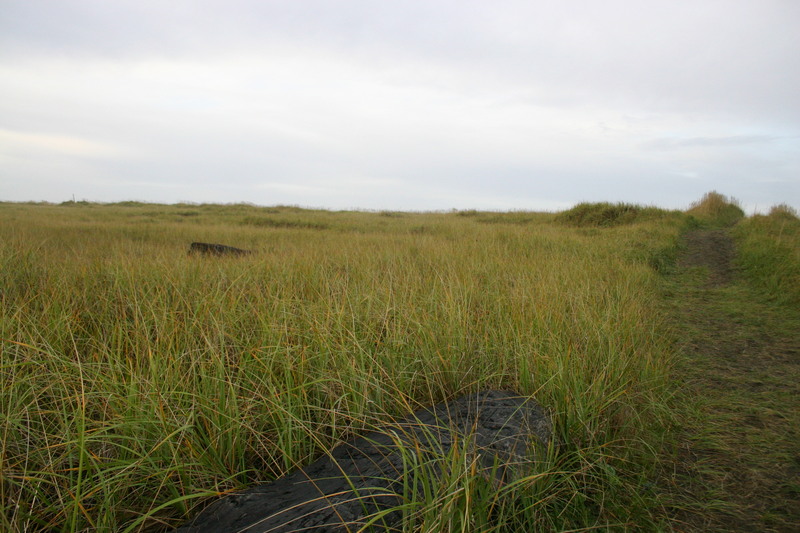 It was all cheese, wine and chocolate and grassy dunes and some clear, dry morning walks on the sand and hands-over-my-mouth laughter with a group of women to whom I give credit for keeping me writing. Back home, I lugged the cooler inside along with my suitcase and a backpack full of books just as rain was starting to pelt the roof. It wasn’t until I was unpacked and reunited with my family, sorting through the laundry list of catch-up tasks for the week, that they slid back into my consciousness: What am I writing about this week? Oh, right. Leeks. I really like those. And I do. As I mentioned, there’s nothing like thwacking through a fresh leek with a really good chef’s knife. And there’s no reason not to add them to your soup instead of onions. They give a run-of-the-mill potato soup a subtle creamy flavor that’s more studied than onion, less pronounced than scallion. Ditto for stir fries, but be careful to keep them moving. 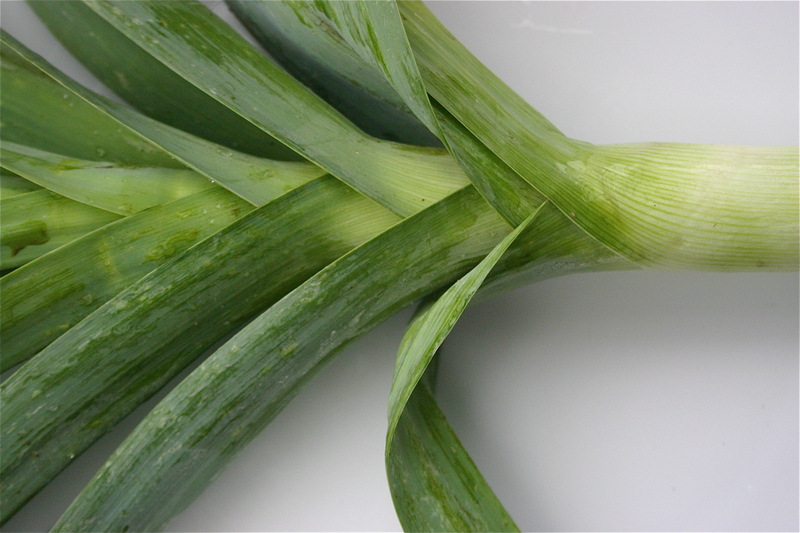 If you slice them lengthwise and then into thin semi-circles, the resulting C-shaped tendrils are more delicate in the pan than a typical yellow onion. And unlike an onion, which I can enjoy almost burnt, their flavor won’t improve with over-browning. Epicurious and this one on a Seattle-based vegan food blog. on our plan to hack out a circle in the front lawn to make way for an herb spiral. Ah, well. 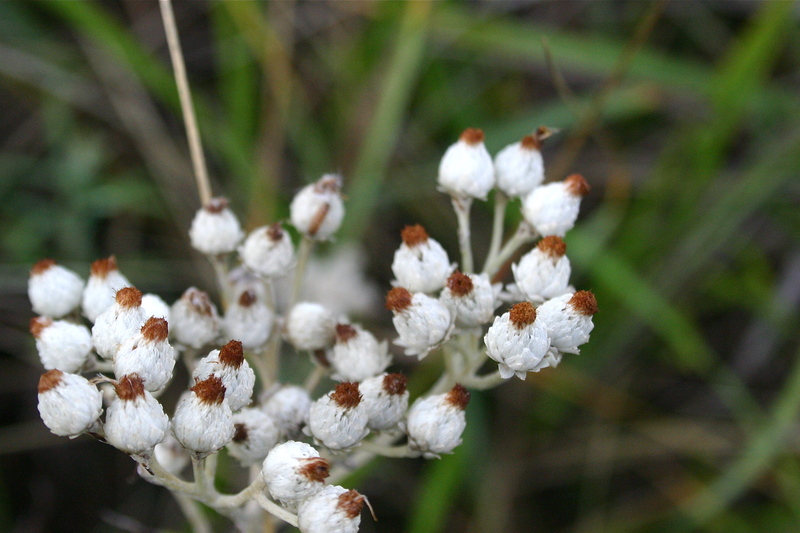 Dried thyme it is for today. If you have it fresh, by all means, use it. If you’re planning to feed a crowd, allow one leek per person. I found that I was missing both a good bottle of white cooking wine and my standby vegetable stock this morning. 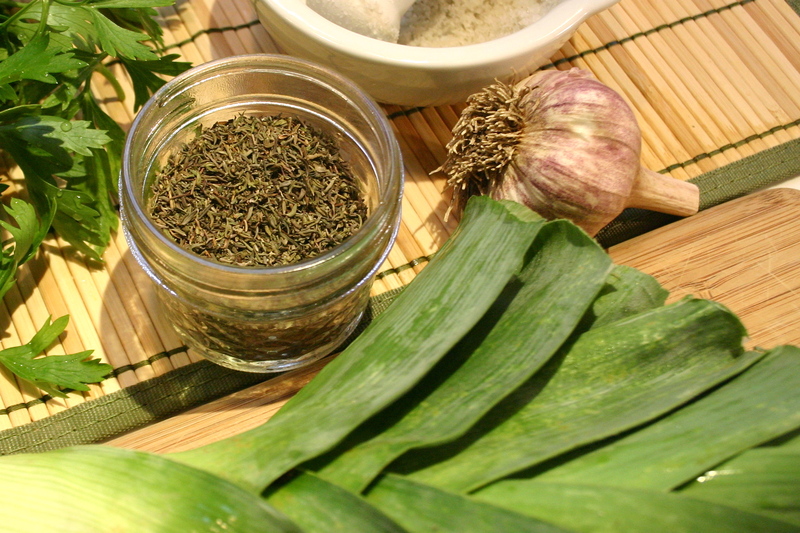 So I made a simple stock out of the dark greens from the leeks, dried oregano and thyme and a pinch of salt and pepper. If you do the same, put it on the stove first and let it simmer while you’re prepping the leeks. 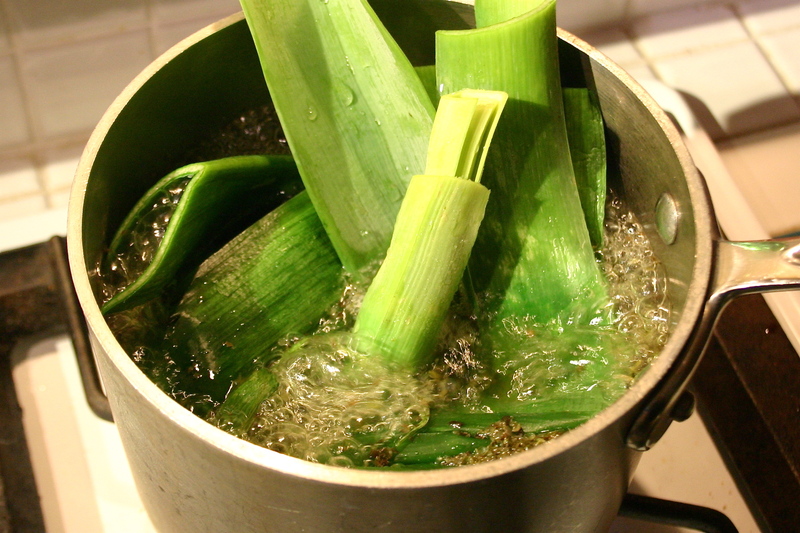 Everyone has a different recommendation for cleaning leeks but they’re all variations on the same method. For this recipe, slice lengthwise and dunk in a bowl of clean water then rub them clean of the dirt that gets trapped between the leaves. 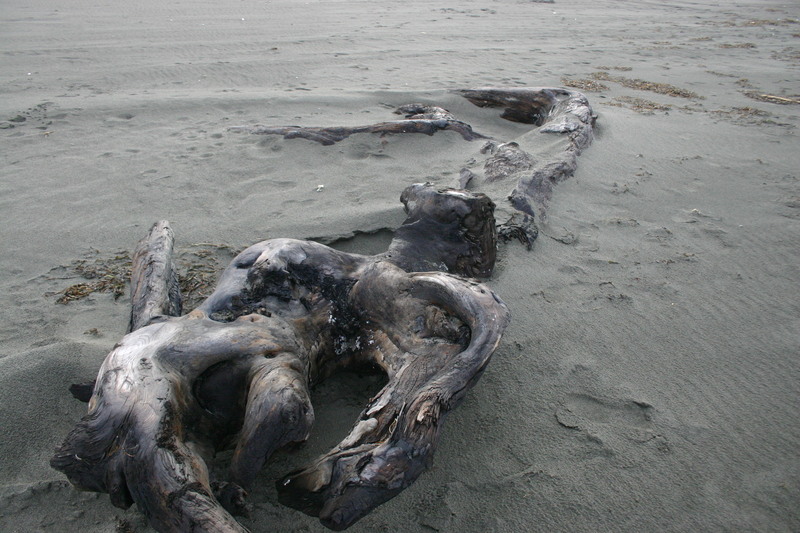 Once clean, lay them flat on a board, cut side up, and rub with sea salt. Heat enough olive oil to cover the bottom of a wide pan generously. 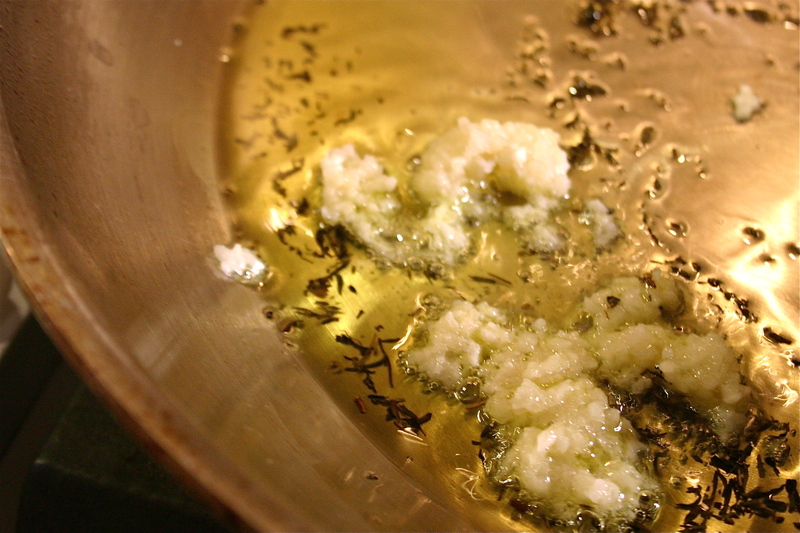 When heated (one minute or so) add about a teaspoon of dried thyme and two minced cloves of garlic to the pan. Stir and add the leeks, cut side down. Without disturbing, cook until slightly browned over medium heat (not too hot, you don’t want to burn the garlic). Mine took a good five minutes. 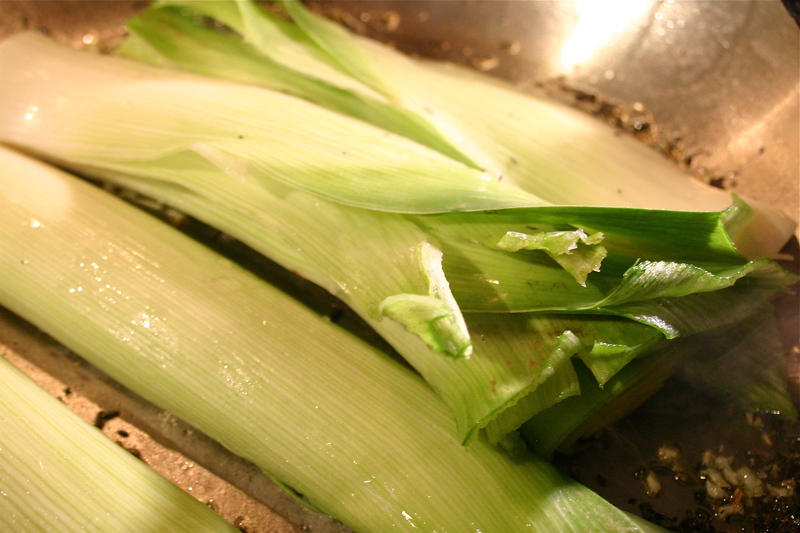 Gently turn the leeks, keeping them intact, and cook another 3-5 minutes. 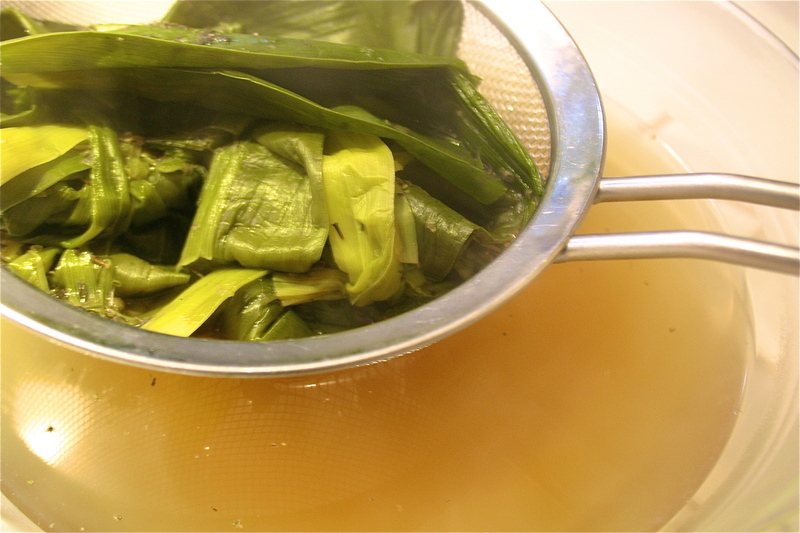 While the second side is cooking, strain your stock through a sieve or cheesecloth. Add about 2 cups of the stock to the pan and cover. 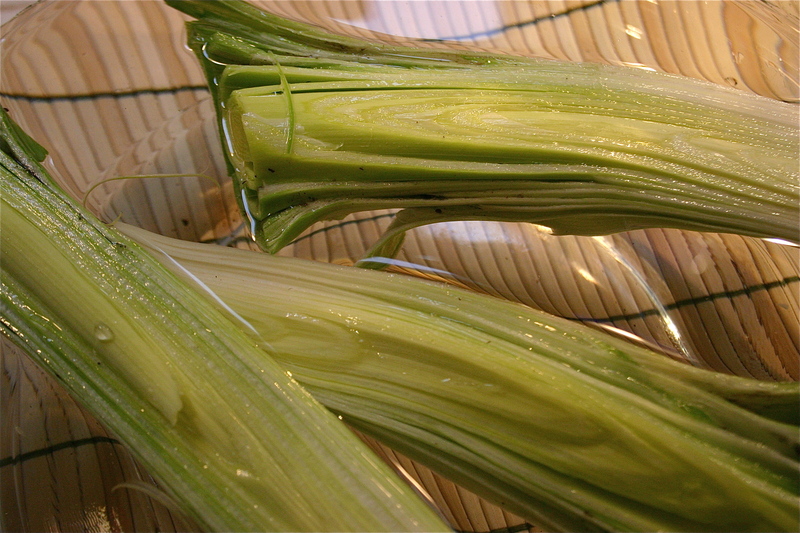 Cook until a sharp knife inserted into the thickest leek goes through it like butter. Mine took a mere 10 minutes. Add chopped parsley to the pan, reserving a bit for a garnish. This entry was posted in Fall Vegetables and tagged Garlic, Leek, Local, Organic, Salt, Thyme. Bookmark the permalink. 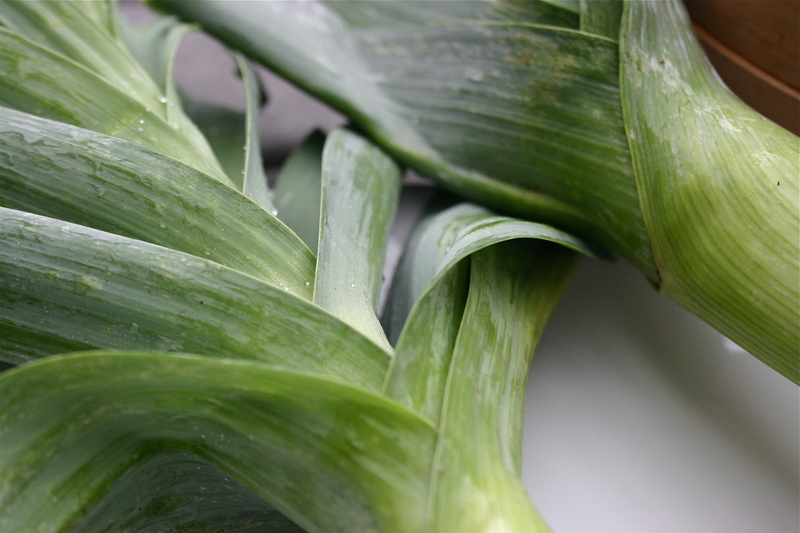 I’ve never known what to do with leeks except to add them to soups… Can’t wait to try this.. gorgeous photos, Jenni! I didn’t know what to do with them, either. Hope you like them! Well done. 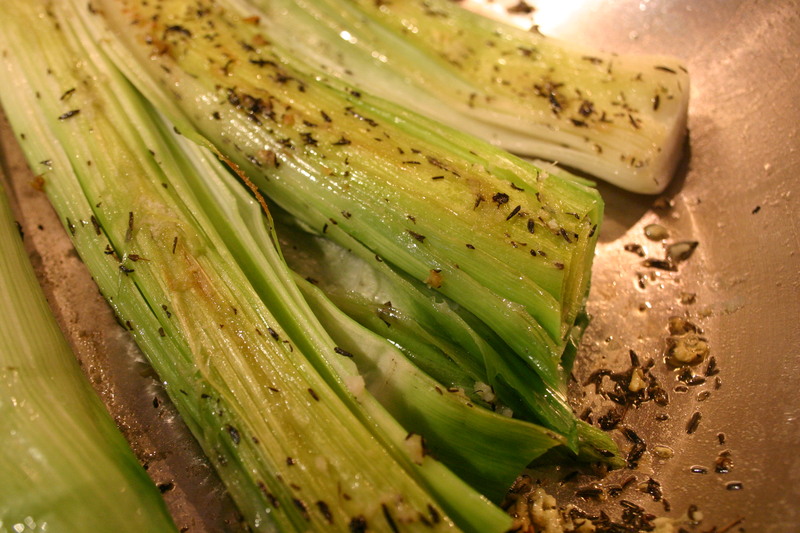 I never expected to read a blog and cooking leeks. 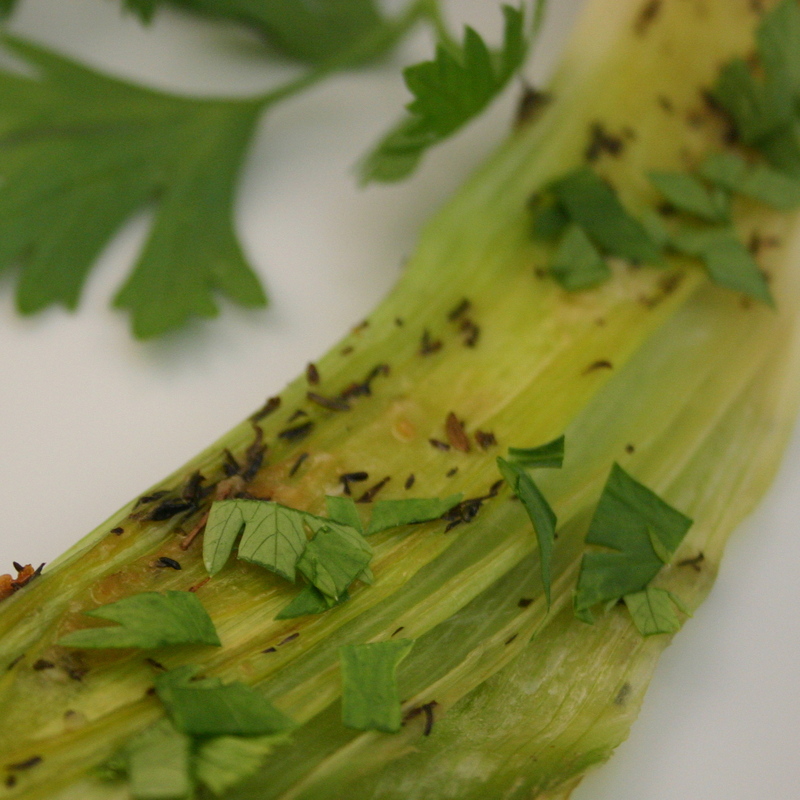 The lead in drew me in, the photos and curiosity about what you were going to do with the leeks kept me reading. Thanks for visiting, Woesha. 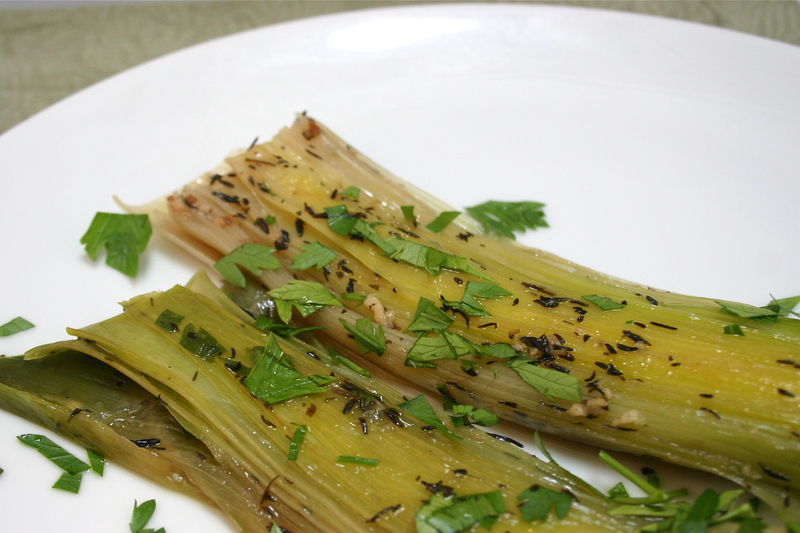 I know – who knew leeks could be intriguing? Glad you enjoyed the post – let us know if you make the dish and how it turns out! This is a beautiful post. 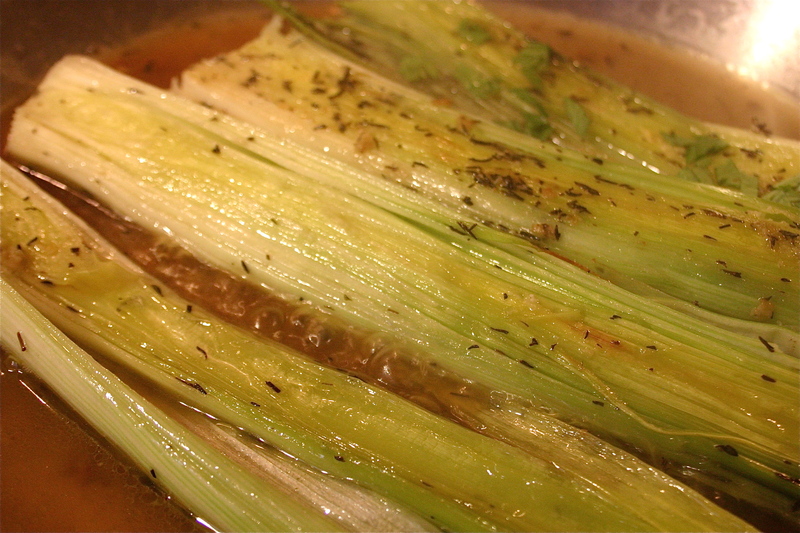 I’ve been enjoying leeks this fall in soups, but I think they are definitely my favorite braised! So glad you came to visit! Yes, indeed. Leeks are the best. And so beautiful right now.